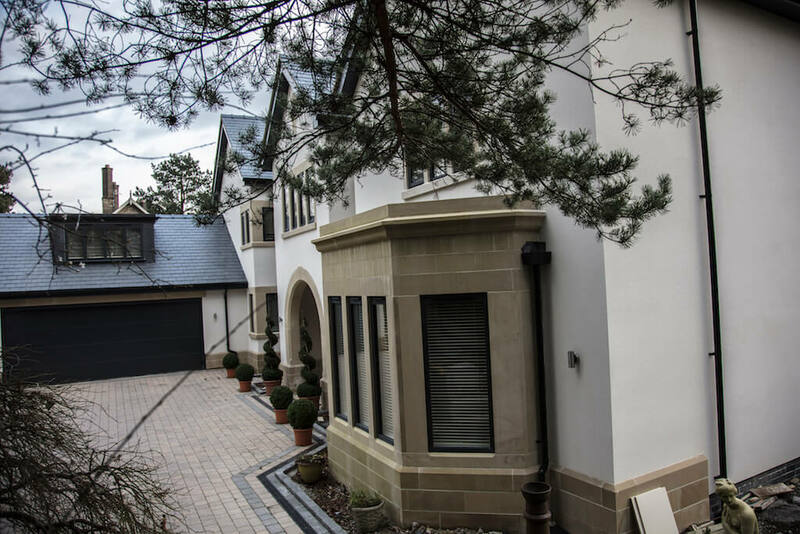 Lyons supplied the stone masonry for this superb new build home in Disley, Cheshire, using a fine sandstone. 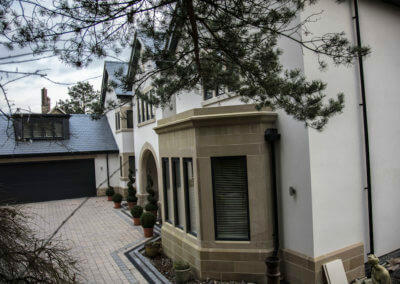 The block was cut at our yard, worked and finished and the more intricate fixing work was undertaken on site. 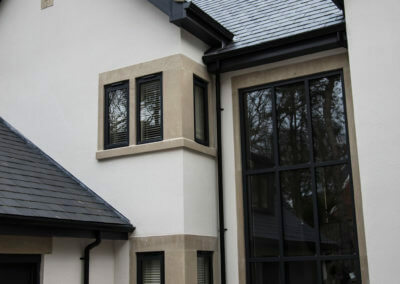 Lyons worked with the client to both value engineer and maximise ease of fixing on the masonry components for the build. 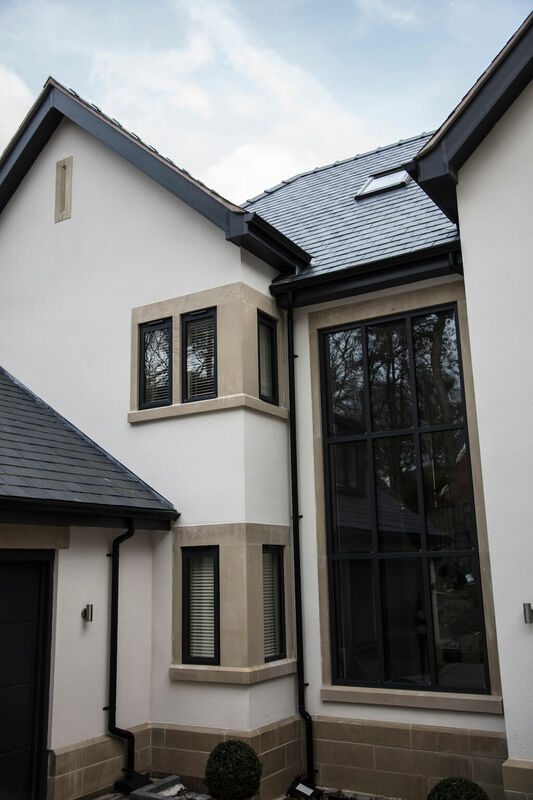 The speed of turnaround was key to the client on this project and effective system of calling off was used to ensure that our manufacturing programme linked to client requirements for key delivery dates to site. Scheduling for masonry to complete new build.